Whether its soups, stews, sauces, curries, marinades, enchiladas, casseroles or dry rubs for meats, chili powder has a significant position in all culinary preparations. So much so, it is easily incorporated even into the healthy and tempting burgers and pizzas. A powdered form of dried, ground chili peppers, chili powder produces different seasonings and is named depending upon the type of chili pepper used, say cayenne pepper. Besides true chili powder, you can find chili powder blend, made from a perfect mixture of cumin, salt, black pepper, paprika, cinnamon, oregano or garlic powder. Since this rich, colorful spice adds a piquant and flavorful taste to any delicacy, it is widely used in Indian dishes, Tex-Mex recipes, Chinese cuisines and Thai foods. Just a dash or two of chili powder can kick up the taste of your palate! Chili pepper is a fruit pod from a plant belonging to the Capsicum annum species and a member of the nightshade family of Solanaceae, which also includes tomato, aubergine, tobacco and others. Apart from the burning sensation and fiery hotness that chili powder provides to the dishes, it is also a powerhouse of tremendous medicinal and health benefiting properties. Let’s check out the different nutritious advantages of sprinkling a dash of this hot and strong spice. A native to Central and South America, chili pepper belongs to the genus Capsicum, which is derived from the Greek word ‘Kapsimo’ meaning ‘to bite’. Hence, when eaten, the chili gives off a burning sensation. Chili pepper was widely used in the cuisines of Central and South America due to the hot and spicy flavor. Moreover, it gained popularity for its use as a decorative item, graduating to be a foodstuff and medicine. With Christopher Columbus setting on a journey from Portugal to discover spices, he landed in South America and found the chili. He named them ‘peppers’ simply because they tasted similar to black peppers. He brought them to Spain and spread them to Europe first, and then to South Asian countries, particularly India and China. Soon, it became a part of prime spices used in the local cuisines. Today, chili peppers are cultivated in all continents, with China, Turkey, Nigeria, Spain and Mexico leading the production. Chili powder contains sufficient amount of vitamin A which fulfills one’s daily intake. Besides, it contributes to the maintenance of eyesight and takes care of bones, teeth, skin, internal membranes and reproductive systems. Chili powder acts as an excellent antioxidant due to the presence of vitamin C in abundance. Vitamin C is essential for strengthening the immune system, healing injuries, and fighting against damage caused by free radicals which can otherwise increase the chances of developing harmful health conditions, like cancer and heart disease. With beta carotenoids present in chili powder, they wipe out the radical bodies that can promote build-up of cholesterol, thereby leading to major heart diseases, like atherosclerosis, rheumatoid arthritis and osteoarthritis. By acting as a detoxifier, chili powder helps in eliminating waste products from the body and increases the supply of nutrients to the tissues. Chili powder stimulates the release of endorphins that act as natural pain killers; thus, relieving pain caused due to shingles, bursitis, diabetic neuropathy and muscles spasm in shoulders, and extremities. By enhancing the metabolism rates, chili powder brings relief to nasal congestion and opens lung airways; thus, reducing the symptoms of asthma and wheezing. 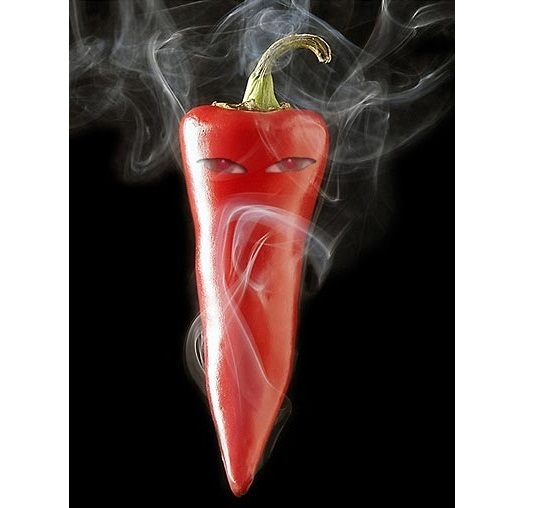 To add on, chili powder lessens the effects of chronic congestion amongst heavy drinkers. Chili powder about 282 calories per 100 gm of weight. Depending upon the variety of red chilies used to produce the powder, the color and flavor of chili powder will vary. Read the labels of the chili powder packet, while purchasing commercial brands. The salt content should vary from ‘free’ to ‘30%’. Besides, some packages may also include ‘free-flowing agents’, along with additional preservatives added. Chili powder generally has a long shelf life when stored in an airtight container, away from heat and light. Placing a piece of asafetida in the container of chili powder will store the spice for a longer duration. When refrigerated, chili powder keeps well for one year and if kept in the freezer, it will last for up to two years. Although chili powder can retain its flavor properties for up to two years, it should be used within one year for maximum taste and flavor.